Hey guys, hope you all are doing well. Today, I am sharing the first travel post of 2019. 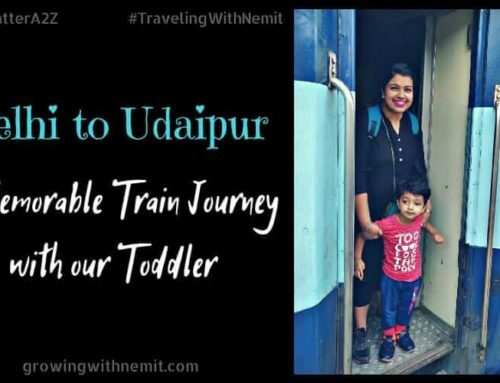 And this is the recent trip we did on Nemit’s 3rd birthday (19th Jan). 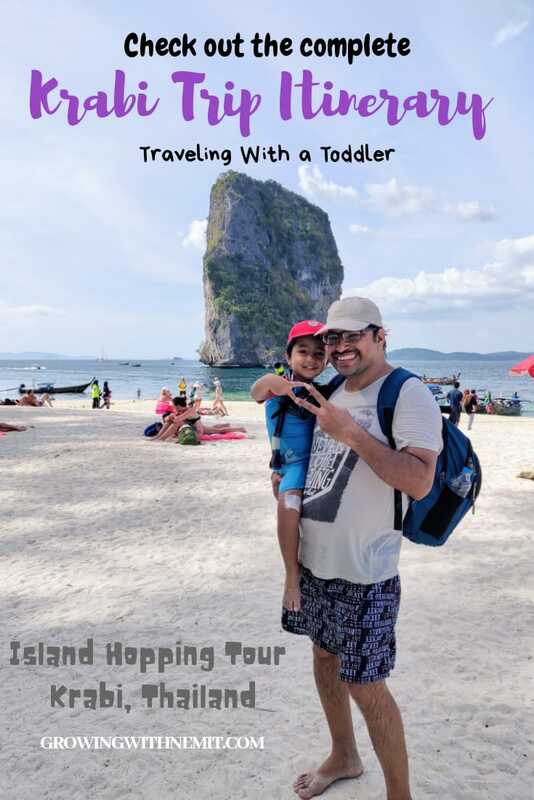 We visited Thailand and decided to explore Krabi with our toddler. I am sharing our complete Krabi Trip Itinerary with you guys. Hope you find it helpful while planning a trip. This trip to Krabi was an unplanned one just like most of our travels & it turned out to be super fun and exciting. This was also our second trip to Thailand, first being our honeymoon trip to Phuket. That holiday was planned through a travel company. Although they did their best to plan a perfect honeymoon trip for us, it didn’t turn out as amazing as we expected. Over the years, we have realized that it’s always better to plan a trip on your own. Since it gives you the liberty to make choices & decisions as per your liking. And when it comes to traveling with a toddler or a baby, it’s always better to plan ahead and plan on your own. Because only you know your baby best! 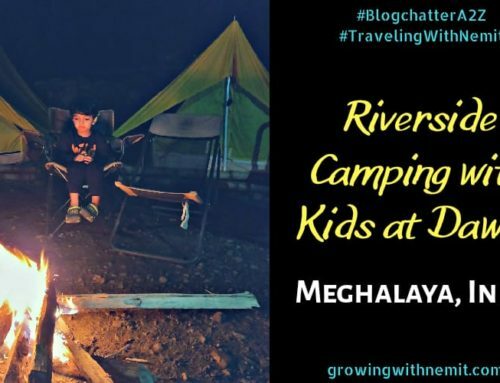 You may also read – Meghalaya Trip Itinerary! Krabi is a beautiful town on the west coast of Southern Thailand. Facing the Andaman Sea, Krabi is subject to a 6-month rainy season, hence the best time to travel here is from December to April. To reach Krabi, we took a flight from Delhi to Phuket and then a cab from Phuket to Krabi. This was the most economical route we could find and was also suggested by many people on TripAdvisor. If you don’t want to take a cab, you can even book a flight to Krabi as well. The flights for Krabi have a layover at Phuket/Bankok/Kuala Lumpur. This was a 5N/6D trip which included 1 N at Phuket. Check out the complete itinerary below. Delhi to Phuket by an overnight flight (4 hrs). Phuket to Krabi by road (2h 30min). Since we had opted for Visa on arrival we had to wait for some time before moving onto the immigration check. However, the whole process was quick and smooth. We quickly bought a sim card from Dtac counter and booked a cab for Krabi. Tip 1 – Carry a pen in your handbag to fill the immigration form otherwise you may have to wait for long to get it from someone. We had to wait for 30 mins to get a pen which was a total waste of time. Check out this video of our Day 1 in Krabi. If you like the video, don’t forget to like & share it. We had booked a family cottage (2BHK) for 4 nights at the Lux Family Villas in Krabi through Airbnb. In the evening, we went to a nearby beach Ao Nang Beach & explored the beachside market. We booked a group Jungle tour for day 2 from a tour counter at Ao Nang Beach Market. The tour included a visit to the natural hot stream, emerald pool, and the tiger cave. I will share a detailed post about this tour later. Tip 2– Always try to bargain the price for any tour, they may reduce it or may offer you alternate options. It was Nemit’s birthday so we decided to keep the day at leisure. 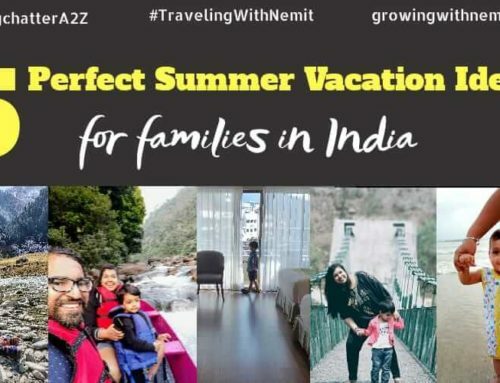 And did activities which are Nemit’s favorite. After having a scrumptious breakfast, we headed out to explore a beach – Nopparat Thara Beach. This beach was about 20 mins from our resort. And was suggested to us by our hotel staff. After returning back from the beach, we went directly to the pool. You may also read- 6 Pool Time Essentials to pack in Travel Bag for Kids! In the evening, we took bicycles which were provided free of cost by the resort and went on to explore the nearby areas. Tip 3– Don’t overdo anything. 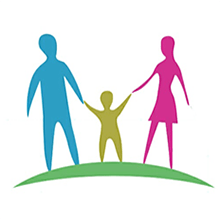 Keep your child’s capacity and interests in mind. Always keep snacks and water with you. And don’t forget to apply the sunscreen. 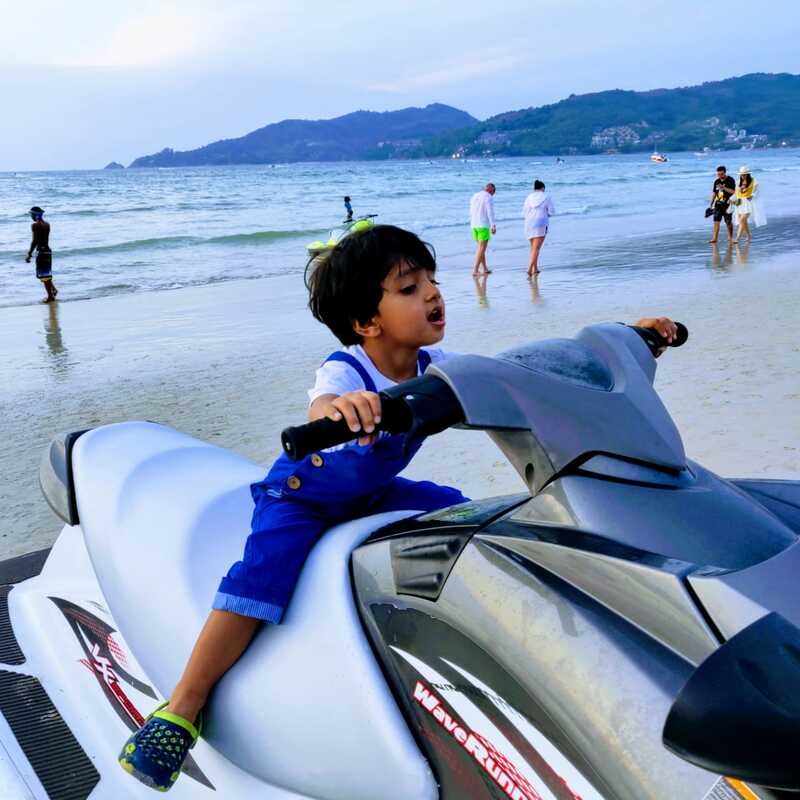 You may also read – 5 Tips to Plan a Kid-friendly Holiday! We did the cake cutting with the hotel’s staff. Nemit was so happy to see everyone singing birthday jingle for him. 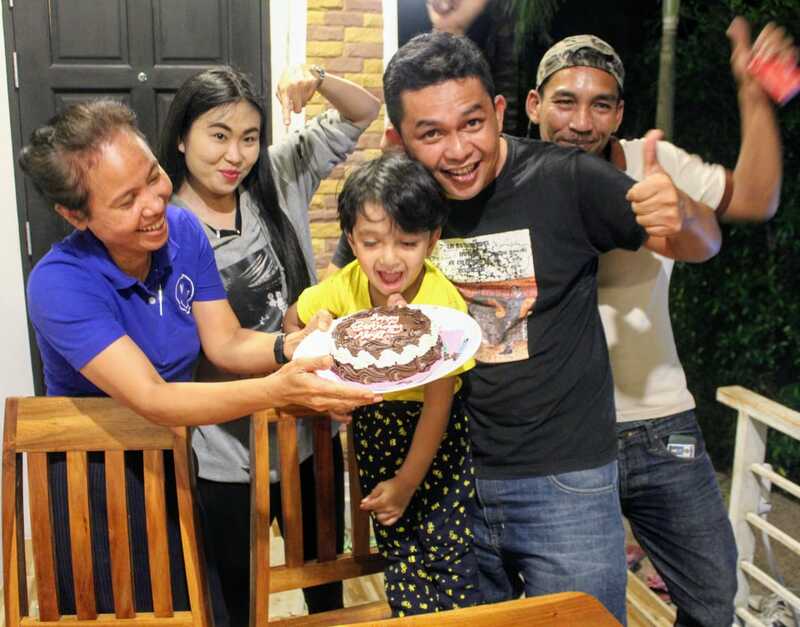 We were glad to once again make Nemit’s birthday a very special one. Also, it was so much better than having a party. 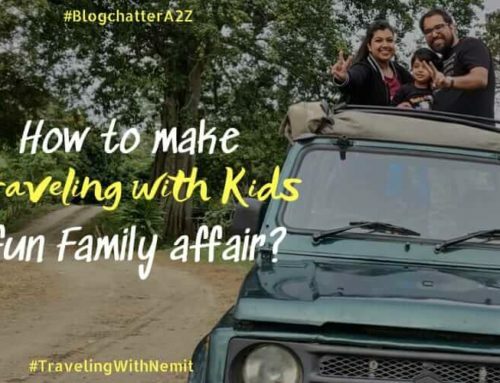 So, if you guys are confused about what to do on your child’s special day, plan a birthday trip! It was our last day in Krabi. We booked a full day Island Hopping tour from our resort. It included a visit to 4 different islands on a big boat. Tup Island, Chicken Island, Poda Island & Phra Nang Caves. We enjoyed snorkeling and swimming in the pristine blue waters. I will share a detailed post about this tour soon. It was our last day in Thailand. 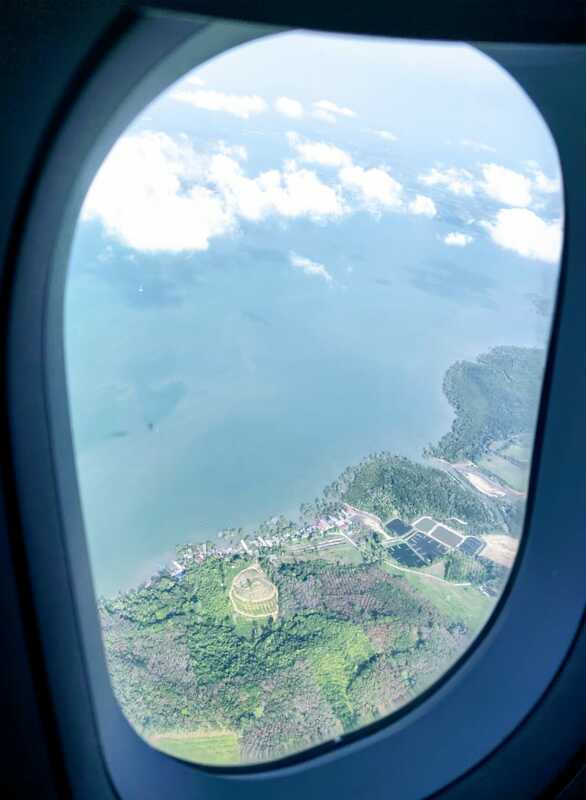 Next day, we had to catch an early morning flight from Phuket. We reached our hotel (Patong Resort) in Phuket at around 1 pm. After settling in, we decided to head out to Patong Beach. Unfortunately, it was way too crowded. We just walked on the beach and clicked some pictures. Nemit played in the sand while we watched the sunset and recalled memories from our honeymoon trip. We went to an Indian restaurant (Samosa Express) for dinner which is located on Bangla road. This was the first time during our trip when we ate a meal at the restaurant. After dinner, we walked down Bangla street & came back to our hotel. We packed our bags as we had to catch an early morning flight back to Delhi the very next day. It was time to bid adieu to this beautiful island and head back home. And we boarded an early morning flight to Delhi from Phuket (4h 50min). In my upcoming posts, I’ll share more details of the places we visited and the things we did in Krabi. So stay tuned! And if you liked this post, don’t forget to share it with your friends and family. 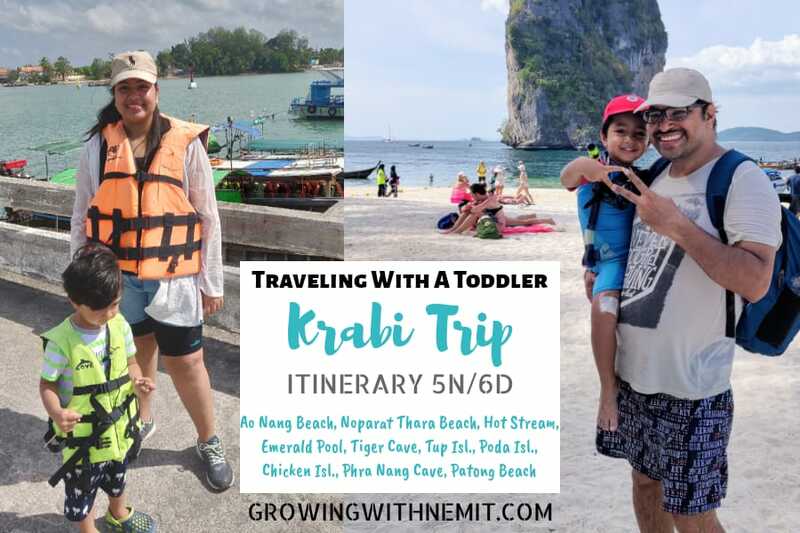 Have you been to Krabi with your child? Which was your favorite destination? Tell me in the comments below. Your post & pics is making me to visit Thailand. It is always on my list & this itinerary & tips will surely help out all travellers. This looks so beautiful. I’m glad you had such fun trip. Loved to read this. It was great. All the clicks are amazing looks like you guys had fun there. I would love to visit there sometime. Thank you so much, Bushra. I am glad you liked our trip stories on Instagram. Means a lot. Thanks so much, Yogita, I am really touched by your words. 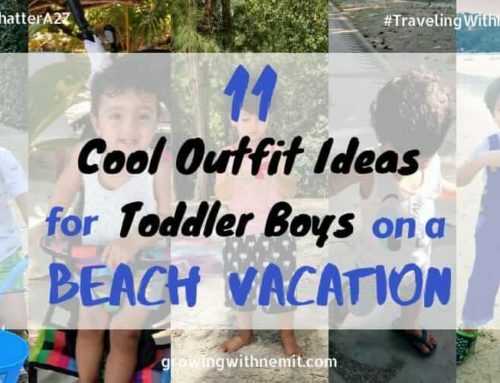 Our aim is to portray that traveling with babies and toddlers can be fun too. Loved the pictures and detailed video about the trip. 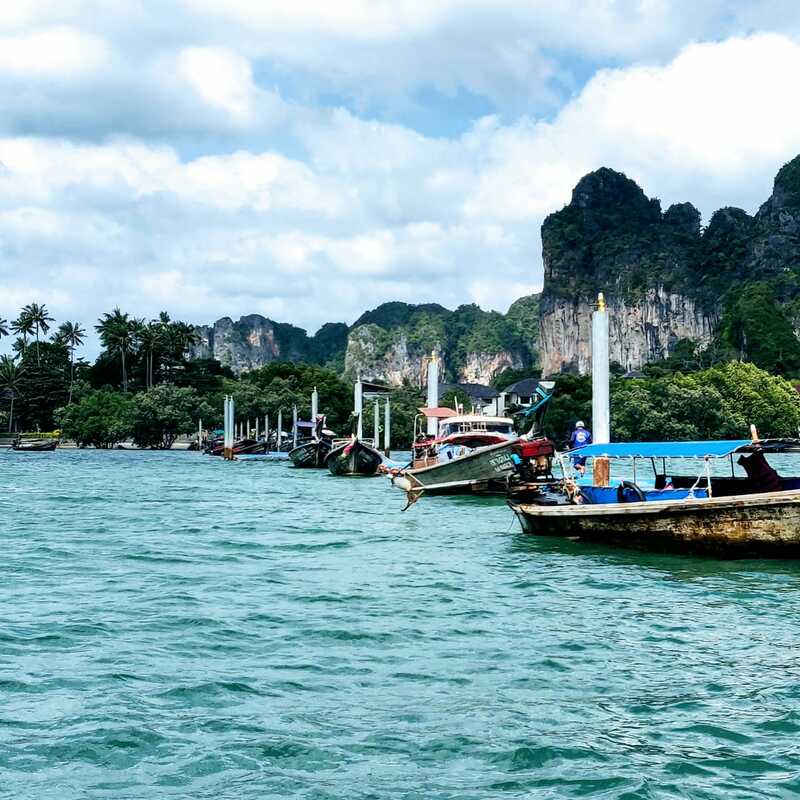 Thailand is surely for people who are fun loving and love adventure..and I just bookmarked this article for my future visit to thailand..
Krabi looks absolutely beautiful. Happy birthday to Nemit. Bless him. The photos look beautiful. My husband and I would love to go there. This seems to be a great place to enjoy with family. And yes i agree that we should carry a pen when we have to fill immigration form. How did ypu plan food for toddler, because kids may not eat at restaurants or even we may not feel safe ti feed them all time outside. If u carried some raw foid like dal,rice with u then how did u cook there?was kitchen equipped? Hi Manasi, as I have mentioned in my post, that we had booked a 2bhk cottage, we got a kitchenette with all the essentials. We had packed rice, dal, ready to cook meals, ready to cook rotis and parathas. During our 4 night stay at Krabi, we didn’t spend even a single penny on outside meals.